We had a spell of warm weather yesterday so I took advantage of it and headed down town to enjoy the spectacular scenery. I thoroughly embrace the times when I don’t need to bundle up from head to toe during the winter and this was one of those days/nights. I was able to add just a light weight duster over some skinny jeans and was good to go. 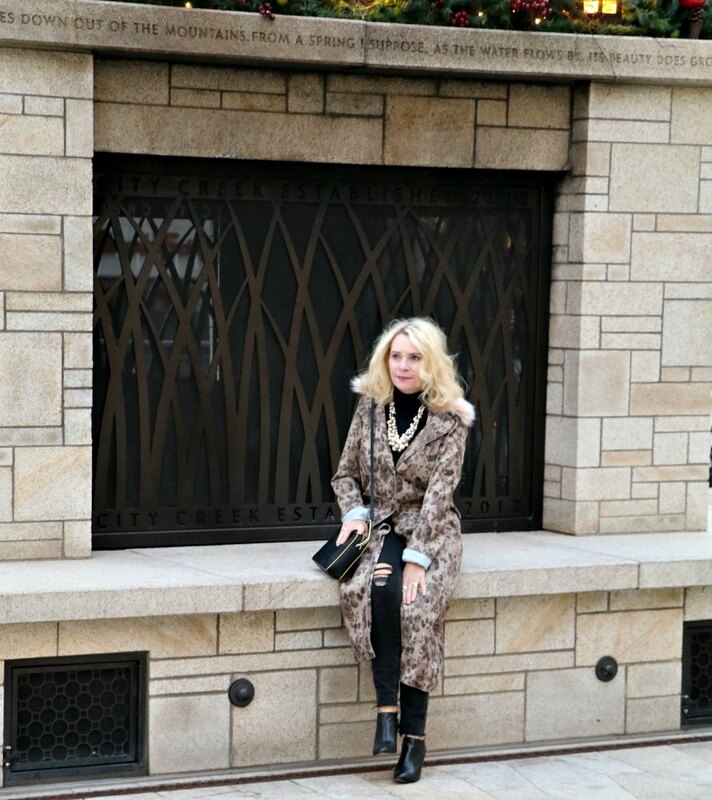 Don’t you love a fun duster (or coat or sweater) with an attachable fur collar? I mean really . . .
how easy is this to dress up an outfit for the evening? Ok, that and some baubles! And I don’t mean to make anyone jealous here, but I’m seriously done with all my shopping. Yep, done and all wrapped! So I just get to simply enjoy all the lights and yummy food and friendly company of friends and loved ones. Now that’s something to feel Merry about, right? As always my friends, thanks for dropping by, have a wonderful day. It doesn’t surprise me one bit you’re already done your Christmas shopping. You always seem wonderfully organized to me. Love the outfit. A huge change in your weather from all the photos of snow! Glad Ihave you so fooled, haha. I usually have a lot of my shopping done but I’m the worst present wrapping procrastinator ever. I just knew with the surgery happening I wanted to be well underway. It’s definitely paid off. So fun to relax and enjoy now. How wonderful to have a warm day! I love the duster and pearl necklace , perfect with the skinny jeans and boots! 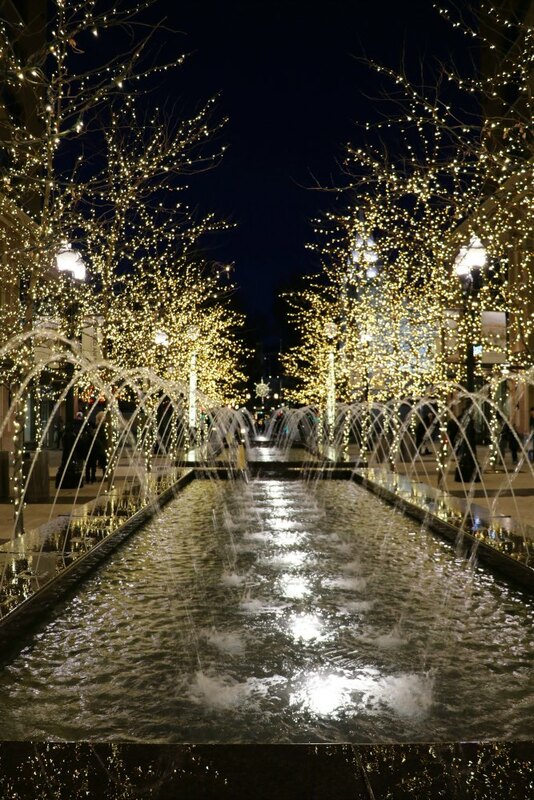 That shot of the fountain with the lighted trees is divine. I am pleased for you, all done with your shopping!! Thnak you! Some year I really want to visit NY during this festive (cold) time of the year. It always looks so magical. What a splendid coat. Suits you very well. You look slim, elegant and festive. Love the necklace with it. Thank you, thank you! This December is actually on the road to being very enjoyable, I wish you the same my friend.